"Why did my father have this book?" Amazon + Roadside have debuted the new full-length official trailer for Todd Haynes' charming film Wonderstruck, which first premiered at the Cannes Film Festival. The film tells two different stories set 50 years apart, following two kids who venture into New York City. One of them is a deaf girl who escapes home and tries to find her mom. The other is a young deaf boy who escapes home in search of a room at the Natural History Museum. Millicent Simmonds stars as Rose, and Oakes Fegley (from Pete's Dragon) stars as Ben. The cast includes Julianne Moore, Cory Michael Smith, James Urbaniak, Damian Young, and Lauren Ridloff. I recommend this film for the concept alone (two intertwining stories of deaf kids) but also because it is lovely. It's not my favorite, but it's pretty solid. You can still watch the first teaser trailer for Todd Haynes' Wonderstruck here, to see even more footage. Based on Brian Selznick’s critically acclaimed novel - Ben and Rose are children from two different eras who secretly wish their lives were different. Ben longs for the father he has never known, while Rose dreams of a mysterious actress whose life she chronicles in a scrapbook. When Ben discovers a puzzling clue in his home and Rose reads an enticing headline in the newspaper, both set out on quests in New York City to find what they are missing that unfold with mesmerizing symmetry. Wonderstruck is directed by acclaimed American filmmaker Todd Haynes, of the films Far from Heaven, I'm Not There, and Carol previously. The screenplay is written by Brian Selznick, based on his own book of the same name. This first premiered at the Cannes Film Festival (read our review), and will also play at the New York Film Festival. 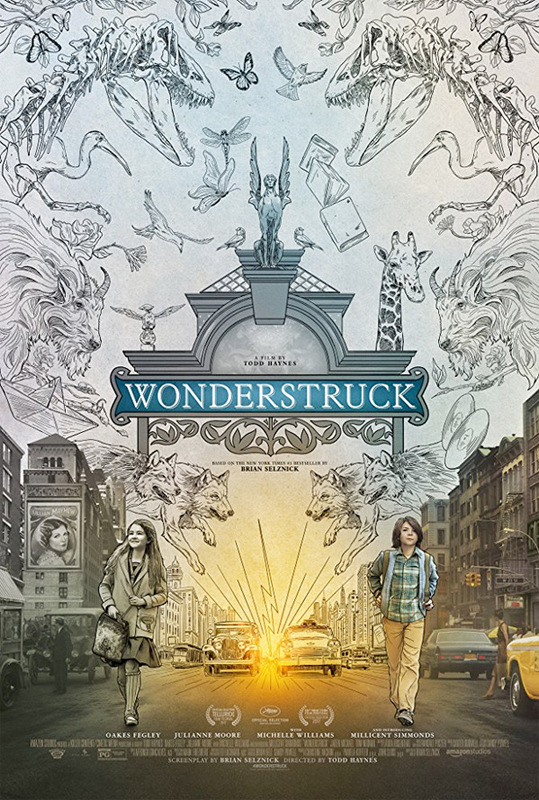 Amazon + Roadside will release Wonderstruck in select theaters starting October 20th this fall. Thoughts?